What a gift to know you and to see the influence of circles and patterns that you are causing to ripple throughout all who are exposed to your brilliance. What a gift of solstice, this light is, that you are. The Geometry of Life, also known in some circles as Sacred Geometry, is an ancient system of observation of various levels of order within the universe. These teachings embody the Golden/Divine Proportion (Golden Mean), Dynamic Symmetry, Fibonacci numbers/spiral, etc. Mandala is the Sanskrit word for circle. Historically, Mandalas have served humankind as symbolic reminders of universal order, as a meditation process and for the attainment of various degrees of self and cosmic integration. It has been used as a therapeutic technique for centering one’s attention/self. The Geometry of Life can help to facilitate the exploration of the Mandala as a self-integrating, centering exercise and window to discovery. 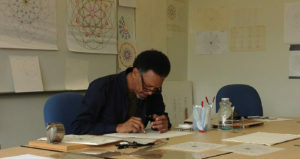 This course leads one through an introduction to a system of exercises using the compass, the ruler (straight edge), and colored pencils and pens. With this equipment one may generate a portfolio of drawings that furnishes a working definition of balance, order, beauty, harmony, the fractal, bi-lateral, dynamic and radial symmetry. Each drawing is constructed from the foundation of two arbitrary points on a worksheet. These two points are used to develop a variety of compositions (ranging from simple to complex) made entirely of circles and straight lines. After completing a set of introductory drawings there will be an exploration of the foundations of Mandalas based upon sixness, eightness, nineness, tenness or twelveness. These drawings will furnish significant points of departure for the creation of Mandalas with personal or more universal signatures. A circle-making compass (that costs more than $1.69 and preferably holds an inexpensive non-refillable ink pen). A ruler or straight edge of 12” or more. A box of coloring pencils. Inexpensive, non-refillable ink pens: red, blue, black, green (more colors are welcome). Two-dozen or more sheets of clear, lineless paper (preferably 11” x 14” or larger). Mandala: luminous Symbols for Healing, Judith Cornell, Ph.D.
* Pre-registration is advised since the number of participants is limited. * Pre-registration ends a full three days prior to the first session. Tools required may be brought from home or purchased at the workshop. A five day advanced notice is required if tools will be purchased at the workshop. 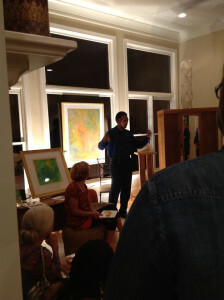 Vandorn Hinnant, Painter, Poet and Sculptor conducts experiential workshops for children and adult learners. Here are two examples of images from the printmaking class that I taught at Duke University’s OLLI (Osher Lifelong Learning Institute) from 2007 through 2010. Each were created by me as an example of what is possible. The inspiration for the development of this printmaking technique goes back to my early student days (1971) at NC A&T State University as an art major visiting the African Heritage Center. I absorbed visually much of what was to later factor into my two and three dimensional works of art. Much of what we in Western culture have come to name abstraction is in fact derived from a careful observation of patterns and order found in the natural world. During these enjoyable hands-on sessions learn and explore how to create images via print-making utilizing nature’s numbers found in fruits and vegetables and other organic elements from nature. All tools and materials will be supplied for each class session. Please bring your undivided attention. Each class will be an adventure into the unknown. 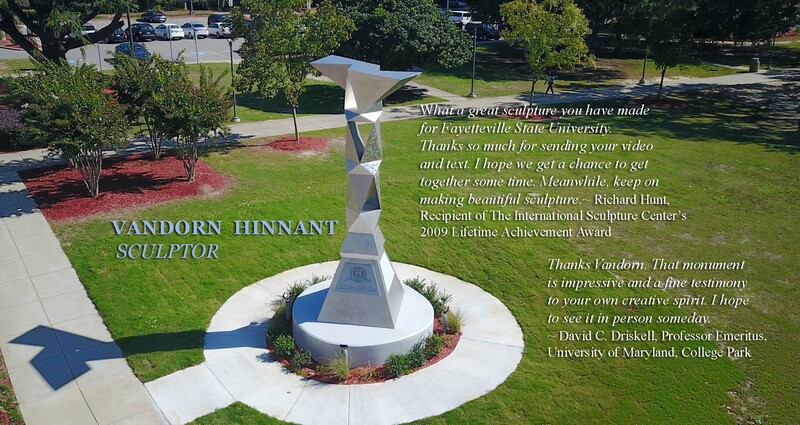 The instructor will find a venue on campus to exhibit class members’ work upon completion of class. 336-706-4298 (mobile), and 919-294-6682 (studio).